The Souverän M1000 is the globally revered oversized Pelikan fountain pen. The striped material that makes up the distinctive barrels is composed from a cotton base using a formula developed especially for Pelikan. The layers are slowly built up over months before being sliced and shaped using a natural diamond. Also available as a solid black finish of high grade resin. This flagship model of Pelikan's fine writing selection features a resin cap with characteristic double rings precisely integrated to present a seamless transition between materials. The glossy green or black barrels are complemented to great effect by gold-plated metal accents. 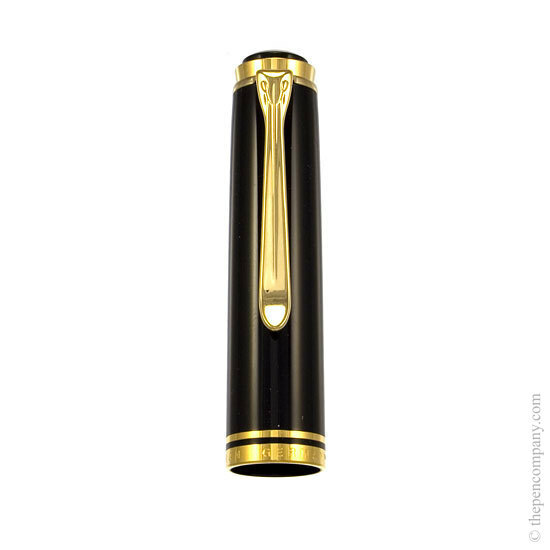 The clip of the Pelikan represents a beak, offering yet another truly unique characteristic to this historic manufacturer, whose brand is one of the oldest trademarks in Germany. The M1000 model presents the 'extra large' design in the Souverän range, with 5 designs reducing in size down to the diminutive Souverän 300. Pelikan pride themselves on their expertise in creating nibs, inks and feeds; their mastery over these essential components enables them to create fine-writing instruments of the highest quality. 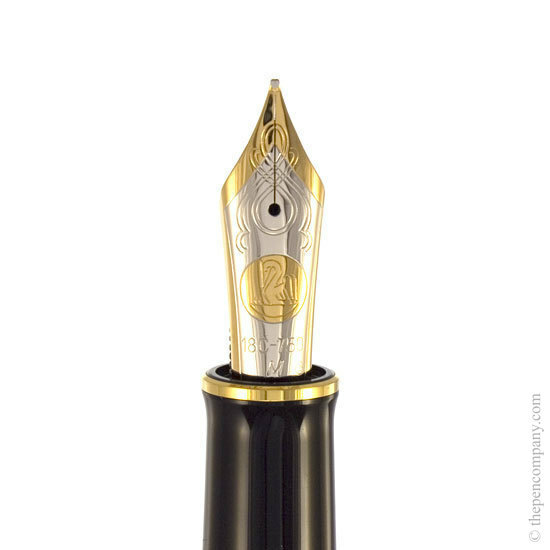 The Souverän M1000 has a large bi-coloured 18-carat gold nib which is written in by hand before leaving the factory. Available in four nib widths: EF, F, M, B. 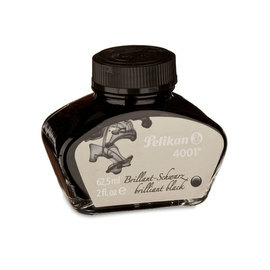 The differential piston filling mechanism holds an enormous volume of ink and is refilled using bottled ink. I cannot thank you enough for the time you spent helping me to select the proper nib size for my M1000. I received the pen today. It is without a doubt the smoothest writing nib that I have ever used. As you know, I selected the medium, with your assistance. The pen is such a great writer. The flow is smooth and wet, the gorgeous gold nib is springy. The M1000 glides effortlessly across the page. I will be looking to add an M600 to my collection next year, when I do, I will only purchase from you and your business. Their price for this pen is unbelievable. If I purchased from the US I would be paying more than double. The service and the pen are flawless and I am very happy customer. Alan was very prompt and professional-- will be shopping again. 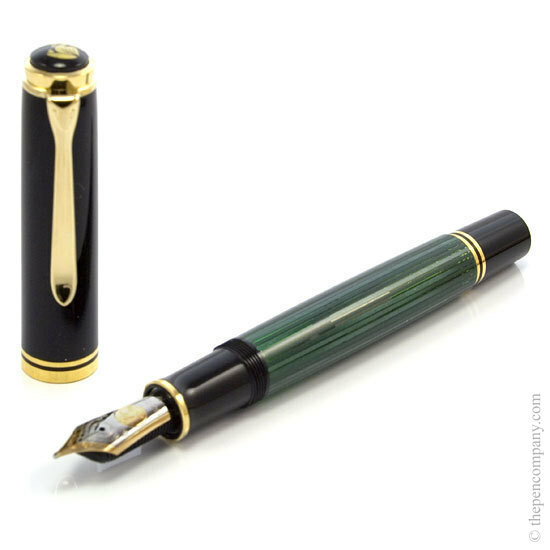 The Pen Company had the cheapest prices for the Pelikan Souveran m1000. Buying through the website was very quick and easy. They updated me throughout as to the the status of the item and it wad delivered very quickly. Extremely happy with their service. Would definitely recommend them and buy from them in the future!